No one should see this. 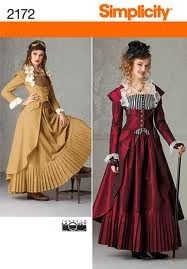 : Steampunk and Cosplay Pictures Part 1! So, I finally bothered to learn how to use the self timer on my camera. took all of 15 seconds just to find the right button. So I have some costume pics for you! They're not amazing, but at least I'm not holding a camera in them. There's a lot of pics, so I'm going to break it in to two posts, one for steampunk and one for cosplay. Let's start with steampunk. The jacket is from the Simplicity 2172 pattern, a very popular steampunk pattern. tank top and pants I made underneath. This is made out of some suede/faux leather almost type fabric which I think looks amazing, but it is HOT AS HELL. So I made the sleeves detatchable. You can't tell in this picture really, but around the sleeves I put grommets and the sleeves lace on so they can also be removed. That way I can wear it even if it's not the dead of winter in Alaska. I think I'm going to put a lot of these clothes on Tipsy and get some better detail shots of them. You can't even see the cool buttons I used on the front of this... sad. And here's a better look at the pants. It was just a basic slacks pattern that I tailored to fit better. Now for undergarments. Here's my petticoat. I bought a wedding dress from Goodwill for a few dollars and just destroyed it. I cut out the interior skirt for a petticoat, cuz I really didn't want to make one. Yup. that's a bustle pad made by cutting a pillow in half and sewing it closed. Just a regular bed pillow. We had some old ones sitting in a closet. and I sewed ribbon across the top so I can tie it around my waist. My burgundy bustle skirt, ruffly collared shirt and burgundy corset with black exterior boning channels. The light's kinda crap, it's hard to see the colors. I really need to get a real photographer. Back view. I can lace the corset tighter than that, but I was just dressing for pictures quickly. I should have taken a side view so you can see how far my bustle goes out. With my burgundy bolero. sleeves made from lace from my old bridesmaid dress. connected with a chain across the front that you can't see. With the brown and black striped underbust corset. Dunno why I'm making a weird face. And here's a detail shot of the hat I wore to Beerfest with Amanda. I quite like it, but I'm going to attach it to a headband to make it easier to wear. All in all I'm pretty happy with my steampunk stuff. I'm probably not done making stuff, I know for sure I'm making several more corsets. But I've got several outfits here, and I'm happy with them.